I guess it’s a good thing to be aware of the stress in your life, but then, how could you not be aware of it? I believe the best way to handle stress is with humor, but then I love to laugh, especially at all the ups and downs of life. If you are able to laugh at yourself, but still love the best in you, I think you can get through almost anything. You can believe me when I say I have lived through a lot of stressful moments in my life, and I’m sure there are more to come. I have lived through the Great Depression, four wars, the loss of two grandchildren, divorced parents, and various serious illnesses, high points and low points. At 82 and 11 months I am still laughing or at least chuckling. At this time of my life, I should be staying at home licking my wounds. Instead, I’m high-tailing it down to StarShine Academy, once or twice a week, to work with disadvantaged kids. I write two blogs, nurture sick friends and grieve for others. Perhaps the way to handle stress, beside laughter, is to find a way to serve others. Do you know what my worst stress is right now? 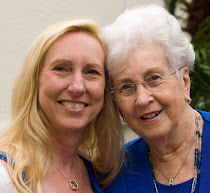 It is a phone call from my KWS blog partner, daughter and best friend Jan. “Mom, I need 6 posts by tomorrow afternoon.” Or “Mom, have you finished the first 50 pages of our book?” Do you know how I handle that? I just don’t answer the phone.